Straight from the 1939 film The Wizard of Oz comes this beautiful Wizard of Oz Ruby Slippers Tin Tote. 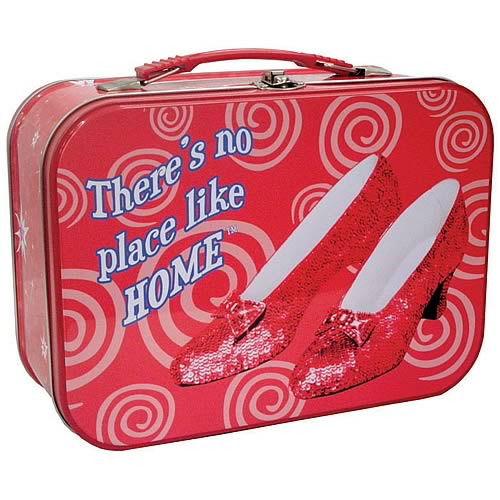 The tin tote features an image of the beautiful ruby slippers and says, "There's no place like home." Measures about 10-inches long x 7-inches tall x 4-inches wide. Bring home yours today!